Three months into my intense chemo, it was time for my PET scan to see how the cancer reacted to all the brutal treatments. Obviously, I was nervous as hell awaiting the results. 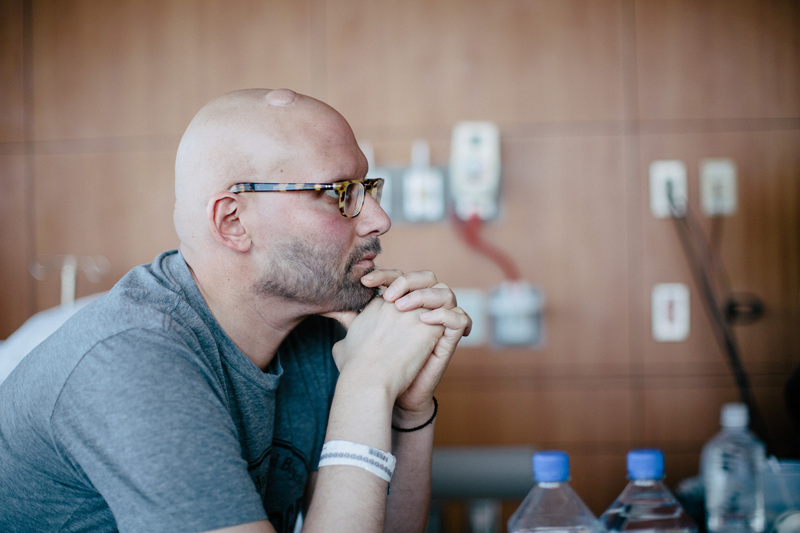 The following morning, I met with my oncologist who had the computer facing me with what looked like MRI results. 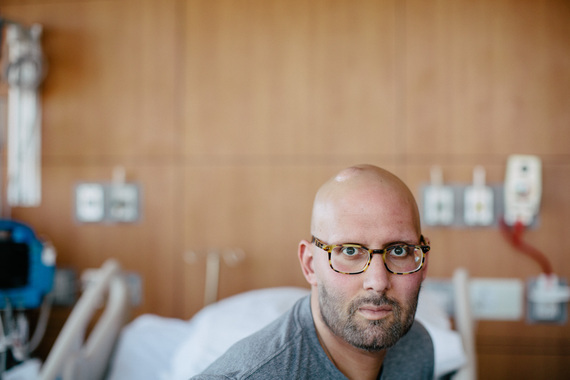 Jay Michael continues his story about living with a stage 4 cancer diagnosis. Read his previous posts in "My Choice to Live: Part I," "Part II," "Part III," and "Part IV". Three months into my intense chemo, it was time for my PET scan to see how the cancer reacted to all the brutal treatments. Obviously, I was nervous as hell awaiting the results. The following morning, I met with my oncologist who had the computer facing me with what looked like MRI results. 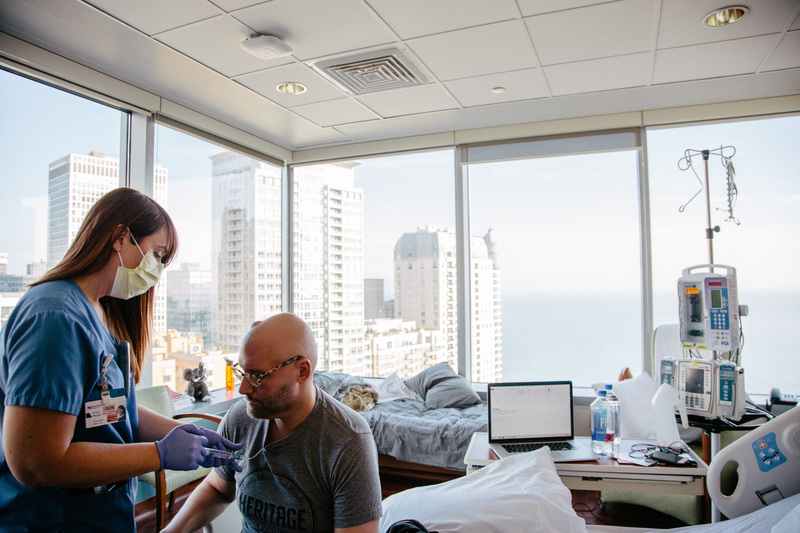 He was in a good mood and smiling when he told me they were unable to find any more disease, and that, per their assessment, I was in full remission. I held myself back from hugging my doctor but I also remember feeling a bit confused. What would I do next? I had become so dedicated to being a cancer patient that I almost forgot what it was like to be a normal, cancer-free person. But then, I woke up on the following Friday morning to a call from my oncologist -- weirdly, on my mobile phone. 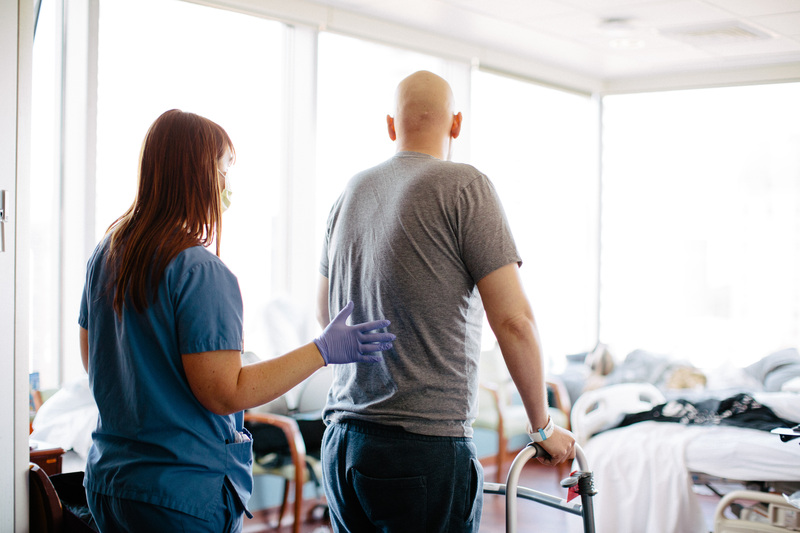 He wanted to give me the news that the cancer had never been eradicated from my brain. My oncologist suggested I do a "small" brain surgery to install a chemotherapy port in the brain. Small brain surgery, that's an oxymoron. "So I have technically relapsed, right?" Great way to start my Friday. I was about to leave for Switzerland that week for my holistic treatments, but this was for sure going to stand in the way. I dedicated the rest of the day fighting to get an appointment for the brain surgery. Thankfully, I found a slot for the next Tuesday morning. I was nervous but, more than anything, I was ready to get this cancer out of my body! I wanted to finish what I had started and get cured, even if it meant a "small brain surgery" along the way. My handsome, dear friend Richard grabbed me in an Uber at 4:45 a.m. to take me to surgery. He was perfectly assembled, almost like it was mid-day and he was off to a meeting. Of all my friends, Richard is always perfectly put together: a bit tan, but never too much so, fragranced but never in an overpowering way. I felt very comforted being taken by Richard, enveloped in his soft tan and his familiar fragrance. I was in safe, loving hands. We got to a waiting room full of people and eventually it was our turn. I was surprisingly un-nervous. ... I sort of felt like I was on a mission. Richard was waiting on the other side of the surgery ... perfectly kept ... with his soft fragrance and perfectly manicured skin. The day after surgery I had dinner with my best friend Sanjeev; not only is he an astute doctor but also my medical advocate. We decided to have a steak at Gibson's -- not our typical jam, but why not? While I was eating a delicious steak, I started to notice that my throat was feeling very dry and almost tight. Sanjeev thought that it may be from the breathing tube that was in my throat during surgery, but it felt to me like something more. I washed down my meal and of course started freaking out about my throat. You just never know when something is minor or when it's a new presentation of cancer. The next morning I was meeting my oldest childhood friend Marta to see her new apartment. As soon as we finished the tour, I could hardly stay awake I was so knackered and sick-feeling. 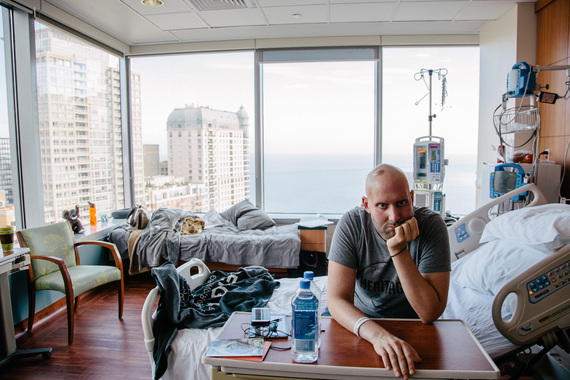 I asked Marta to drop me off at the ER, and after calling my oncologist and getting tested by a bunch of ER doctors, It was determined that I was experiencing a cancer relapse. Within a few hours, swallowing became very difficult and I began losing my voice. It turns out this was all a result of cancer cells growing within my central nervous system. These cells were irritating the nerves that control my face, mouth, esophagus and speech. It was further determined that the cancer was still growing at the site of my original tumor on my spinal cord, except now this irritation was effecting my ability to walk. So, from being in remission on a Friday, I was unable to talk and essentially numb below my abdomen by the following week. So there I was, back in in the hospital working to get back into a remission so that I can then get my mobility back in order to get to an immediately needed bone marrow transplant. Talk about having the rug pulled out from under you ... I was shocked, frightened, angry and sort of lost. I remember thinking, how much more of this can I take? What did I do to deserve this nightmare to continue? It took me a few days to get back into fighting form mentally. Ever since day one, I have been committed to surviving, and even though I still felt that way, I needed some help getting back into fight mode. I remember being zonked out on pain meds, lying like a corpse in my hospital bed, speaking in silence to my late father, Abba (Hebrew for "daddy"). He kept telling me that my entire life there had been challenges and I have always performed above the expectations. I kept tearing up and thinking how hard it must be for my tough father to see me this way, even from heaven. My father hated being sick; he was terrified of getting ill. I have always been thankful for the fact that when he left us it was very sudden and he never spent any time being sick. So to see me like this can't be easy. "Abba," I said, "I seldom pray and ask favors of you, but please get me walking soon and make my bone marrow transplant smooth and quick! Thank you." I have felt sick ever since being diagnosed, but it really wasn't until this relapse where I felt both sick and sort of helpless. It made me really take inventory of my life. Visitors are common, but they are also taxing and often leave me feeling less relaxed than when they came. So I am very careful that I only have guests that leave me feeling awesome -- and to be honest they're hard to come by. I have a few dear childhood friends who have been here with me since diagnosis, and my best and incredibly loyal and selfless friend Sanjeev who spends most days and nights with me, challenging me and doing the same to my medical team. Without his support, I would not be here writing today. He has been such a rock for me at such a desperate and needy time in my life. I will forever be grateful for his support and friendship. Yesterday, a buddy of mine who had been kindly trying to visit for a few days came to see me. Brief history: I have had a crush on this incredibly handsome man for much of my adult life but -- even after many sweet dates and some really compelling make-out sessions -- I always felt it was best we keep it simple and remain close friends. You see, this man has endlessly been in relationships with other men who have mistreated him, and as much as that is the past, it's sort of made him crave that sort of behavior. And no matter how hard I try, I will always spend my life being a giver. ... I have a ton of love in my heart and I plan to share it with someone who can easily accept it. I want to spend my life doting on someone special. What I did learn from that visit was that it brought me great joy -- something you seldom come by on your cancer sickbed. We talked about life, we talked about dating (not that I can speak of any at the moment), we talked about my cancer and I made a comment before parting: I told him I his visit brought me true joy. Joy is very hard to come by and when I find it I hold it tight, especially these days. What was even more valuable was that this little spark of joy reminded me why I was here in the first place. God gave me a very robust challenge but things had gotten so hard for me I'd lost sight of the fact that I wanted nothing more than to live and for a few moments I forgot about how much I truly had to live for. So the fight will continue. Cancer took my ability to walk, it's taken away my hair, it's put a hole into my brain and skull, it has taken almost every last bit of my energy, but it cannot and will not strip me of my undying will to live. So, as God throws me some very rotten lemons, I will undoubtedly make delicious lemonade and continue to find and cherish some true joy along the way.